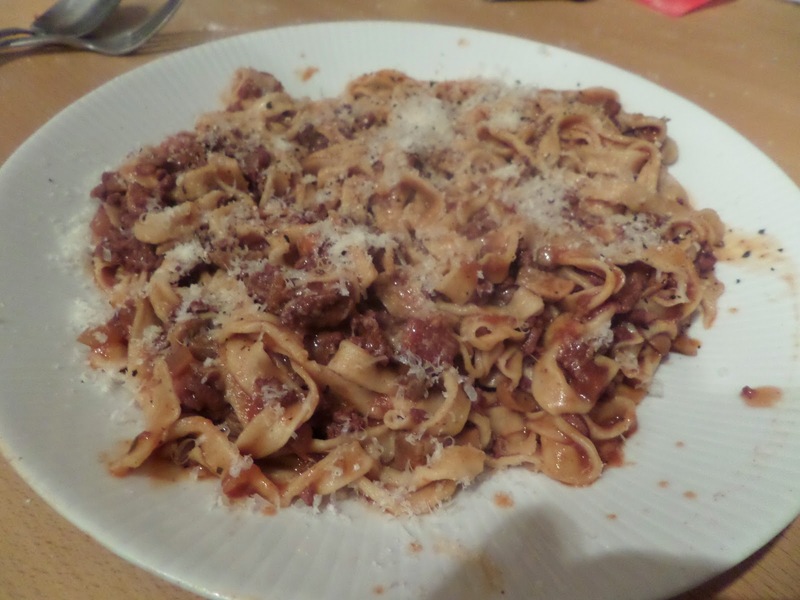 We really liked the sourdough pasta we did recently, so as there’s some of Soph’s bolognese in the freezer I’m going to make it again to go with that as what should be a pretty simple weeknight dinner. 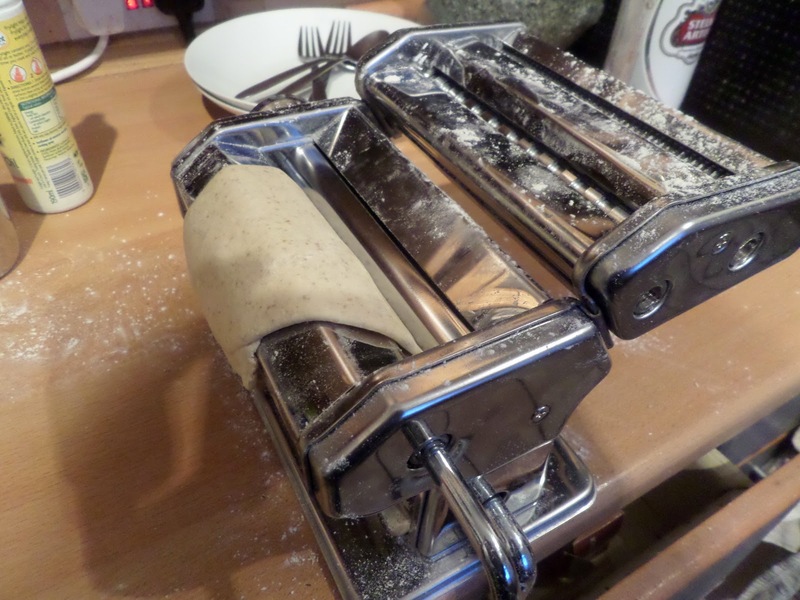 I do love rolling out pasta. 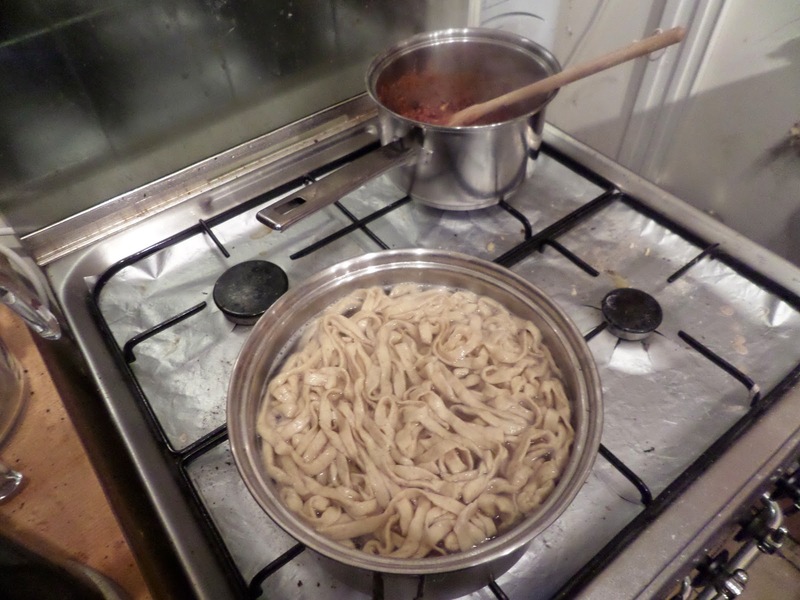 Boiling is slightly more tricky… as it tends to stick together. But it all worked out well!